Islamic Global School Network (i-GSN) is an international school network based in Islamic education who had contact with the USIM either through visitation by USIM administrative staff, lecturers and students or visitation by the particular school to USIM campus. 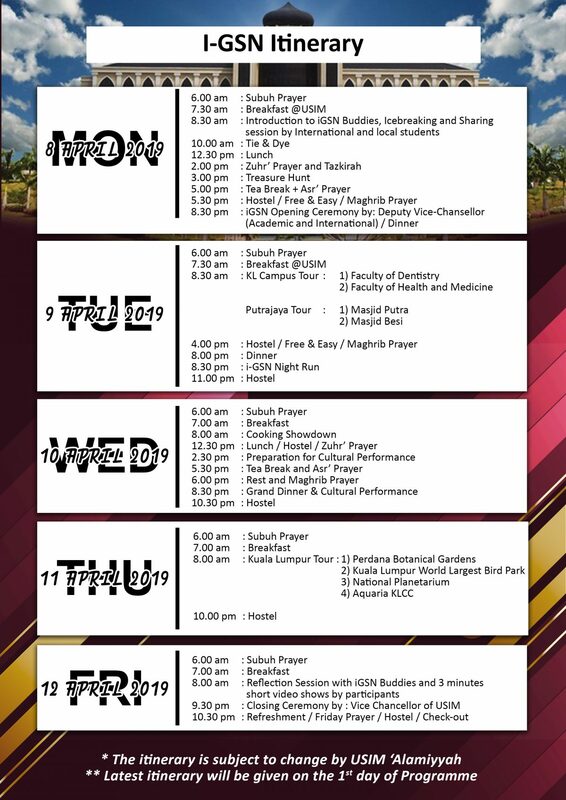 The main purpose is to maintain the current relationship by spreading current leaflets, brochures, and magazines related to the current development of academic, research and student activities in USIM to the i-GSN network. The i-GSN network also as a platform for USIM for internationalization program which will enhance cooperation in terms of promotion and international student intakes into USIM. This program was created to develop a list of schools database of the international Islamic education that has established relationships with USIM that will be updated from time to time. 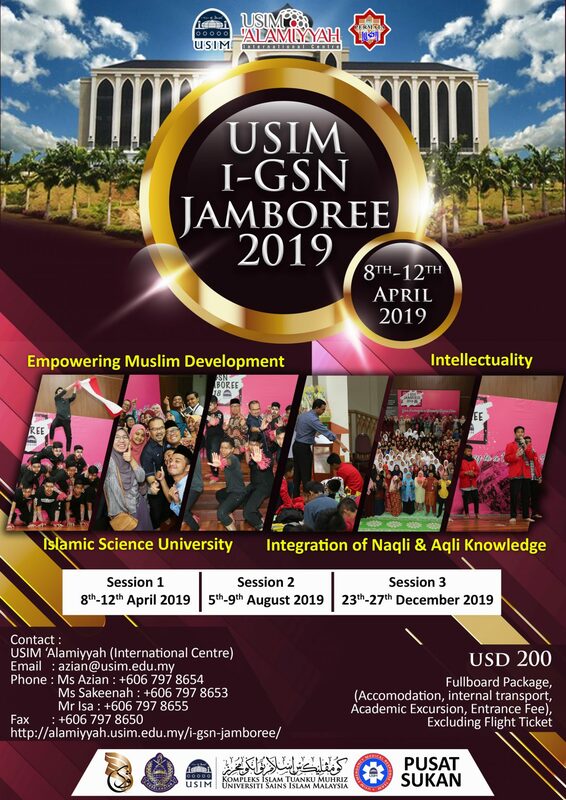 One of the program under i-GSN flagship is the i-GSN Jamboree, where USIM Alamiyyah or the International Centre plays host to about 150 students from schools all over the region and as far as Australia to promote understanding of Islam and to showcase what USIM has to offer. The Jamboree was first conducted in 2015 and to this date, 16 schools with 555 students have experienced first-hand what it would be like to be USIM students, and a significant number of i-GSN alumni has become USIM students.